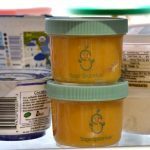 Butternut squash is a great first food choice for your baby. It has a smooth texture and a hint of sweetness that will want baby to lean in for a second bite. 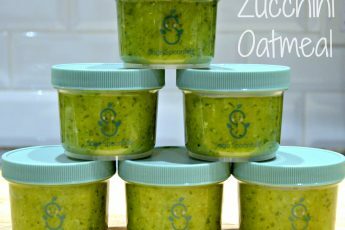 This recipe yields a ton of baby food. 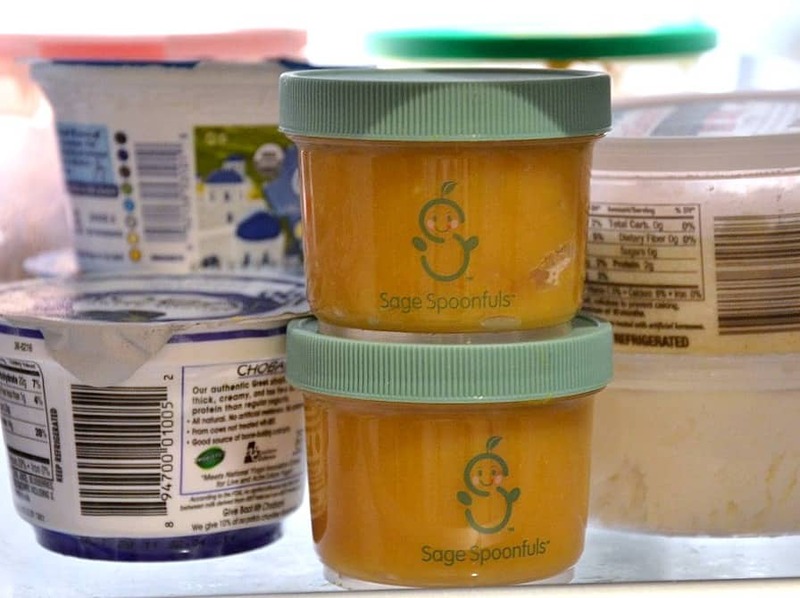 You’ll get about 26 ounces of baby food for only about $3.50! Suitable for babies 4 months and up. Always make sure the consistency of your baby’s food is one he can handle and check the temperature before serving. Pour water into a pot until it is about 2 inches deep and bring to a boil over high heat. Place the squash into your Sage Baby Eco-Steamer and put it into the pot. Cover and let steam for about 12 minutes until the squash is cooked all the way through and easily pierced with a fork. 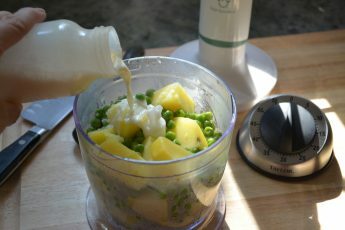 Place the squash into a large mixing bowl and blend until smooth using your Sage Baby Puree & Blend immersion blender. 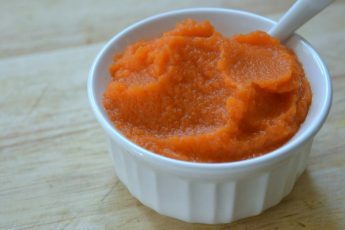 Butternut Squash puree will stay fresh in your Sage jars or Sage Squeezie for up to 3 days in the fridge and up to 3 months in the freezer.